Click on the links to the left for full details of all 2018 winners. 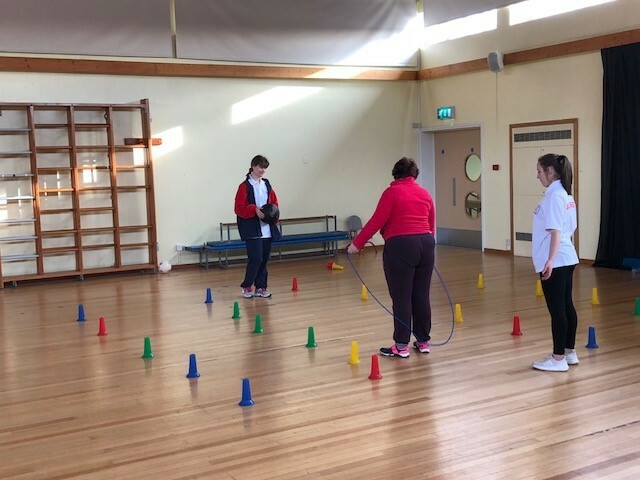 Like last year, there was no Disability Games, but there was once again a very successful Disability Sports Awareness Week. Indeed, it has been descibed as one of the most successful events this Association has ever run. The Outreach team introduced 432 students from seven schools to Wheelchair Basketball. It all ran like clockwork thanks to Gordon, Lance, Mel, James B, Pete and Danny. The Good Moves folks who helped us with the movement of chairs around the various locations need a pat on the back too. Many thanks also to Stonehage Fleming for their very kind support of this event. In spite of the disappointment of not being able to welcome The Shrewsbury Tennis Club to Jersey due to travel disruptions our intrepid wheelchair tennis team dusted themselves down and staged a training session. I am sure we will see Shrewsbury Tennis Club members in Jersey in the future. 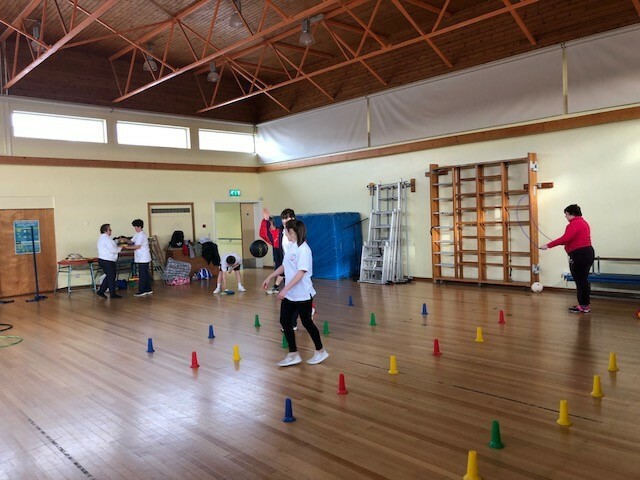 A small but active group took part in a number of different sports and craft activities of LD Multi Sports at Maufant. 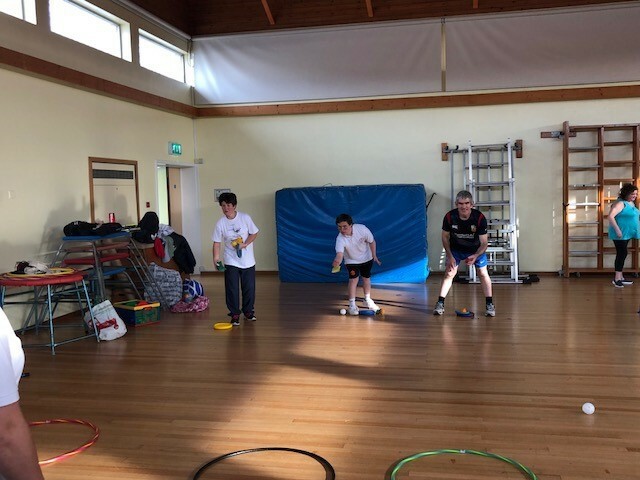 It was great to go back to this wonderful facility and see what a great job Jeannine and the team have done with the store and indeed for maintaining multi sports as a very positive sporting option for our members with a learning difficulty. 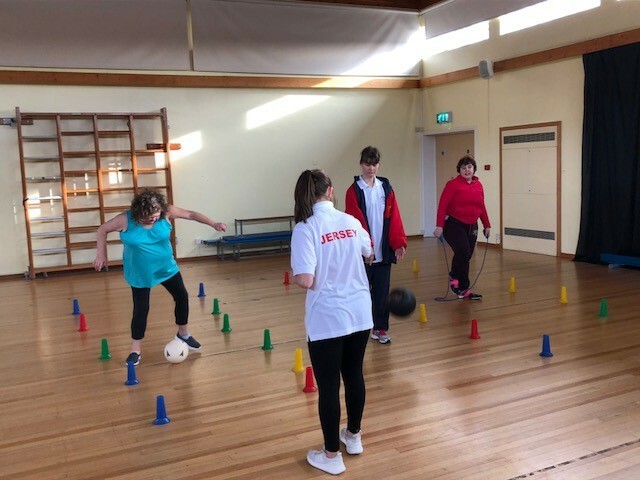 Unlike previous years, there was no Disability Games this year, but instead, the first ever Disability Sports Awareness Day was held earlier in the day at various venues around Jersey. Below, you can see some of the activities that were being enjoyed at Bel Royal School. The highlight of the 2016 Games was the visit of the world-famous Sheffield Steelers wheelchair basketball team, who took on the might of a Jersey Wheelers select, and beat them 44-16. Below you can see some of the terrific action. There were a smaller amount of competitive sports at these games, with no visiting teams this time, therefore many of the sports were participation-based. But the annual climax to the Wheelchair Basketball Challenge saw RBC Maples taking the title from last years champions, Jersey Wheelers. In Bowls, the overall winner was Elizabeth Morel, with Pierre Brochard earning the most improved male, and Emma Buxton the most improved female. Badminton's most improved played award went to Cassie Leuwenburg. A great weekend of disability sport, and well done to everyone who took part.